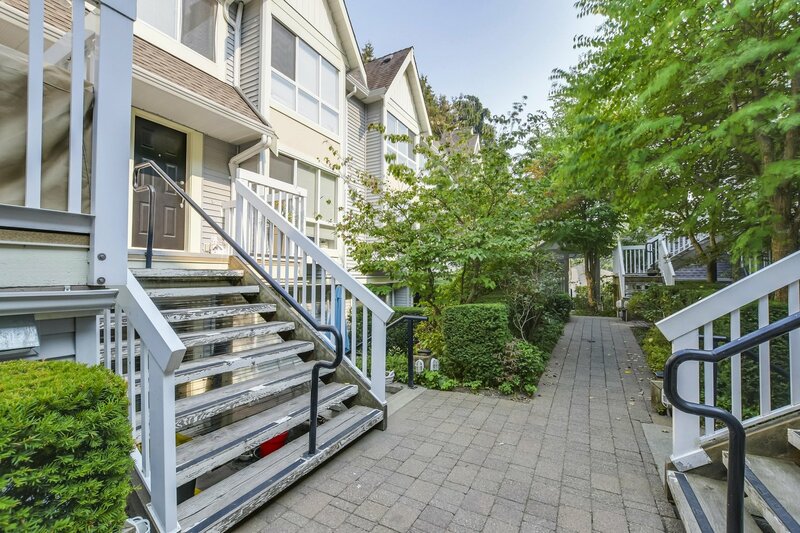 You will feel right at home the moment you step towards the front door. 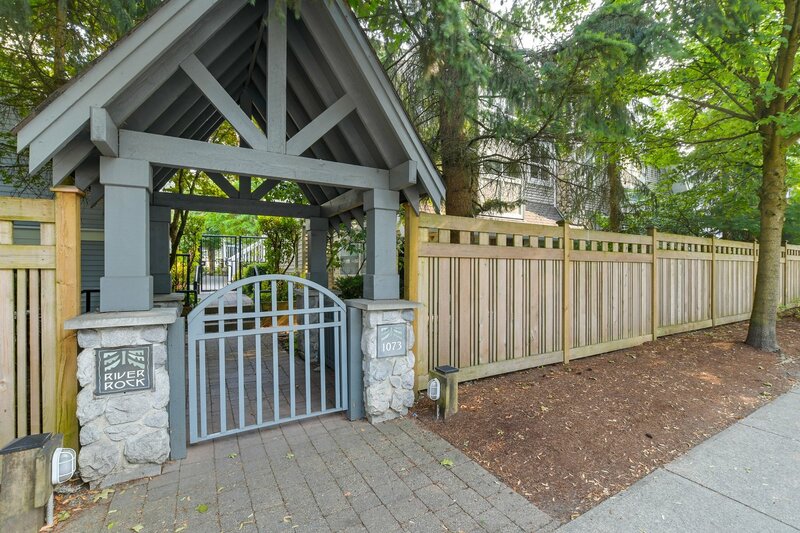 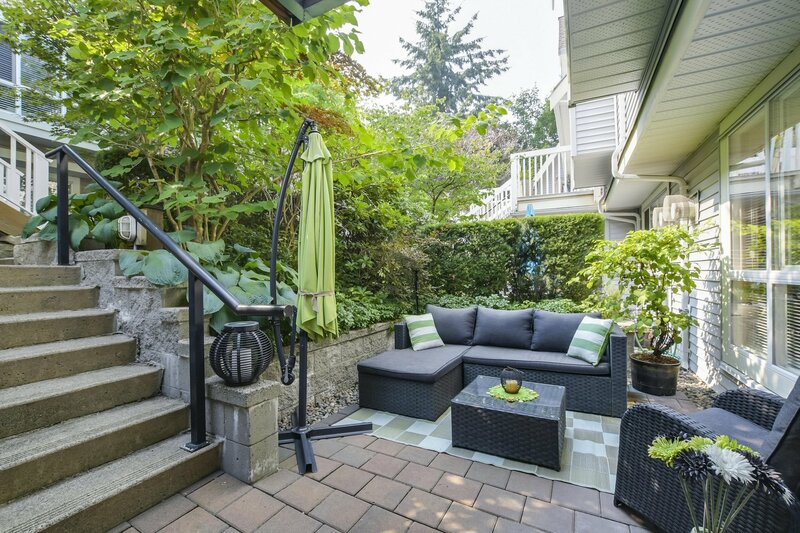 Immediately you are greeted by a private sunny front patio offering a place to relax and BBQ. 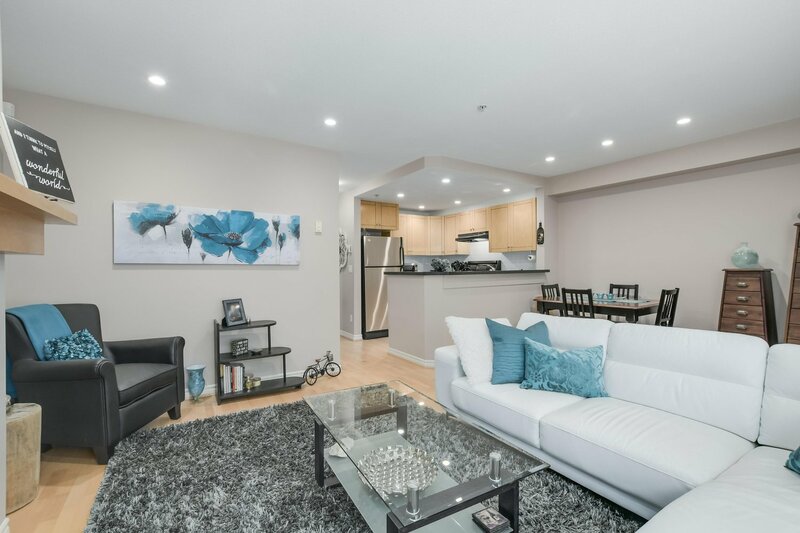 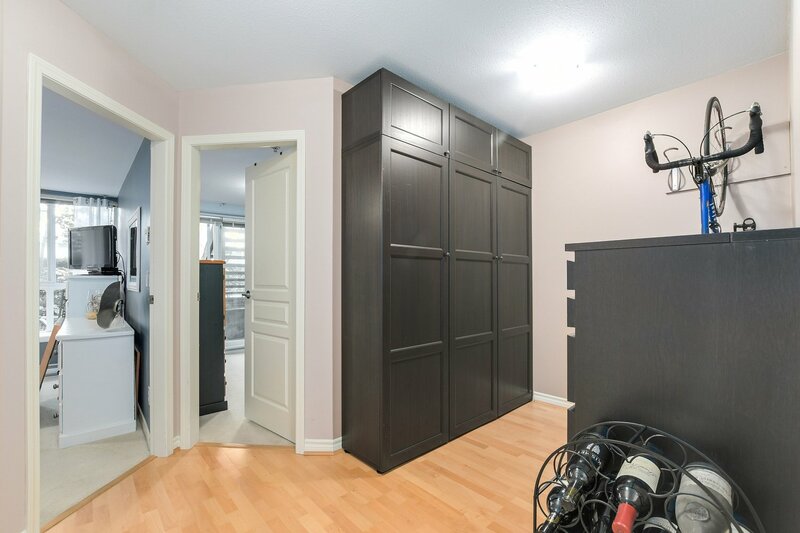 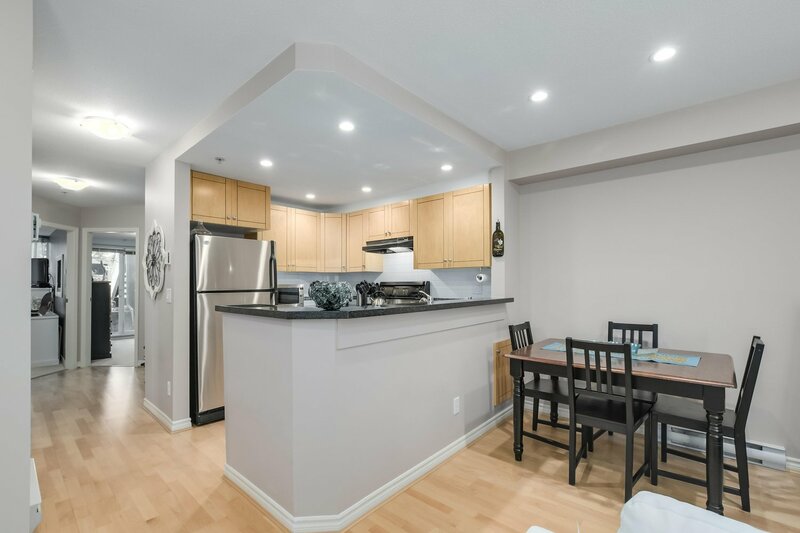 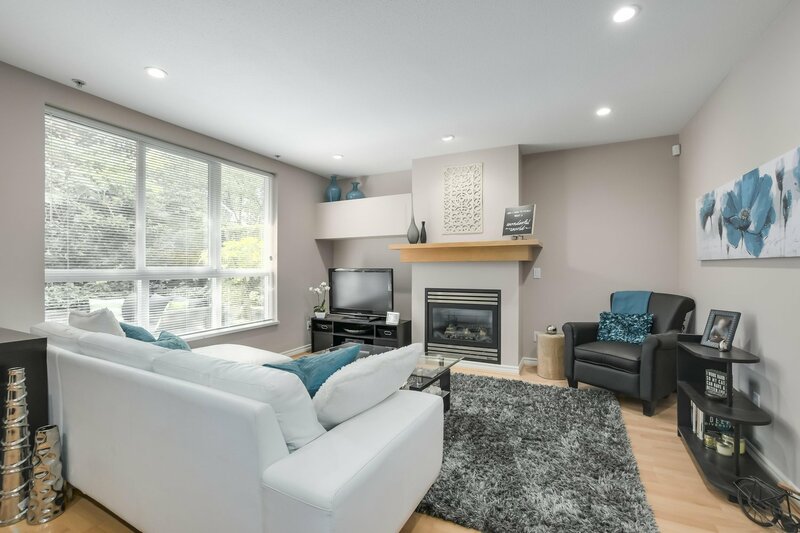 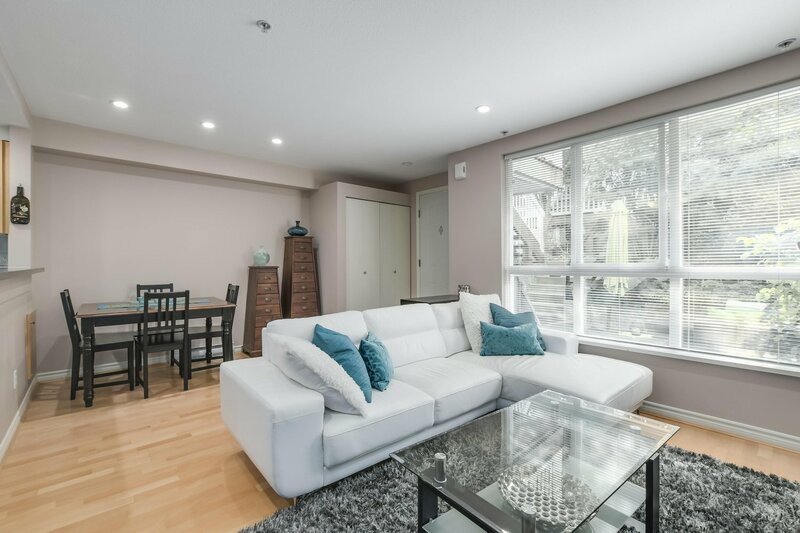 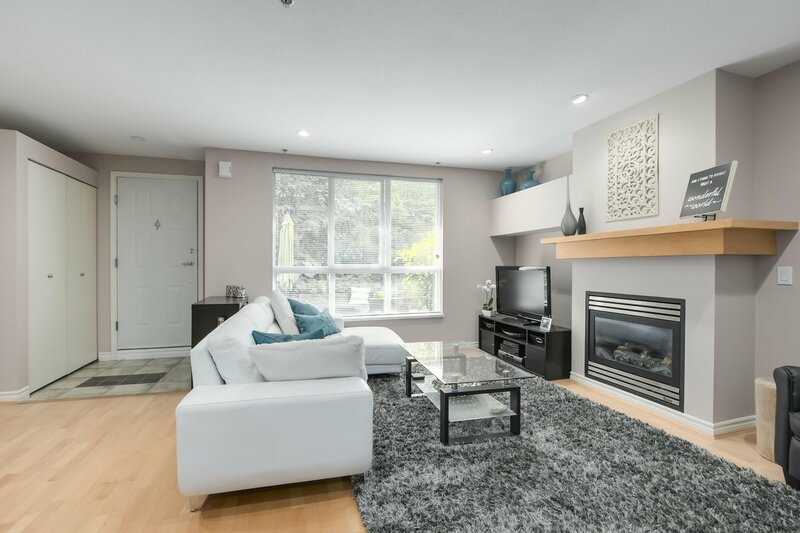 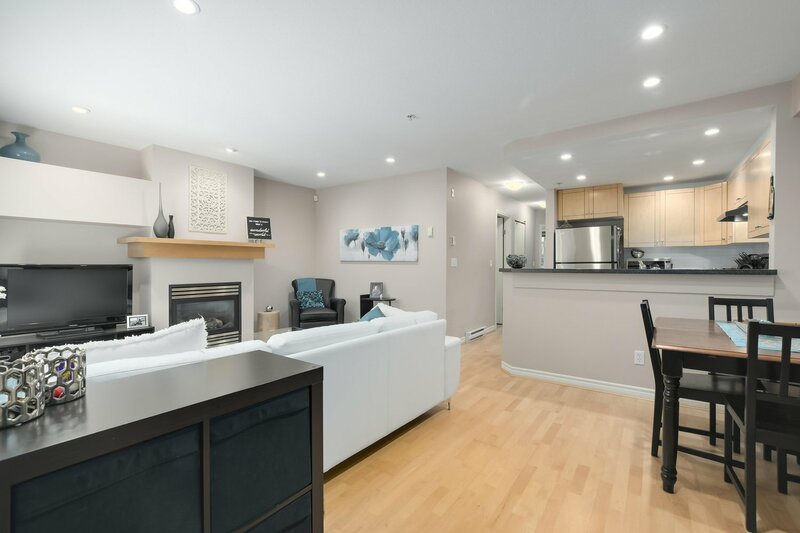 Step inside and you will be delighted by the pristine condition of this 2 bedrm plus den townhouse all on one level! 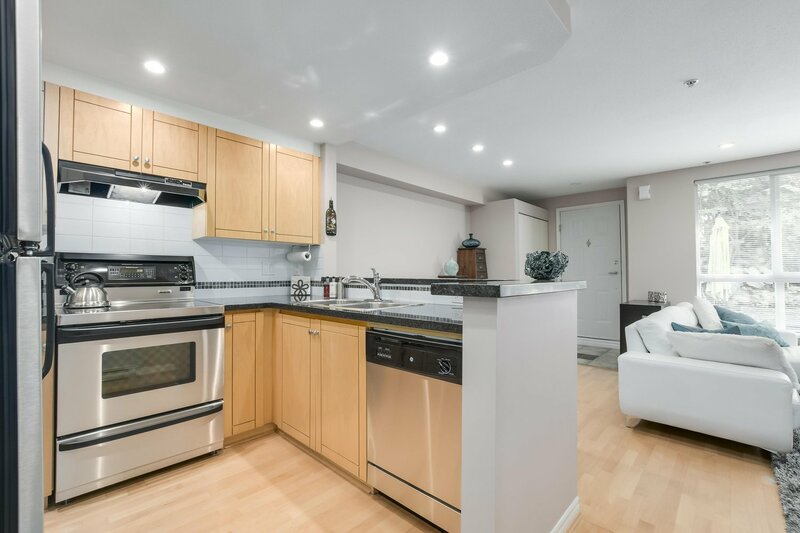 Open living & dining rms allow plenty of space to enjoy and entertain. 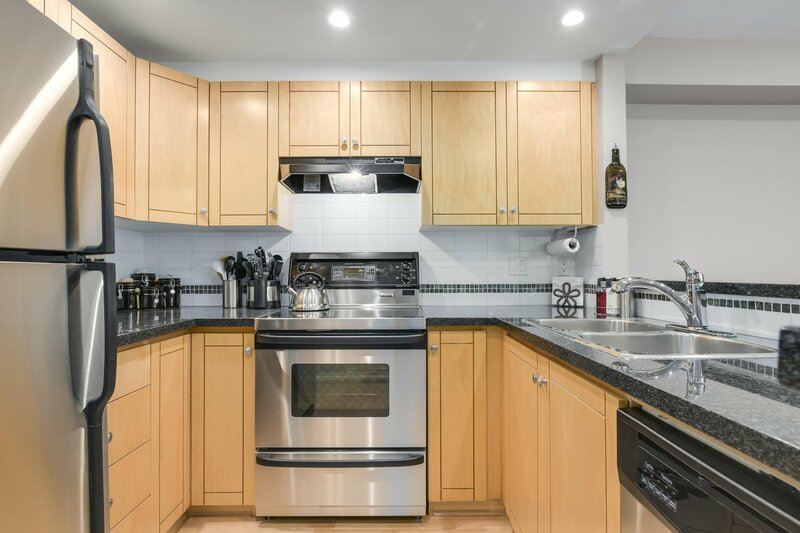 Large kitchen has stainless steel appliances & plenty of cupboards & counter space. 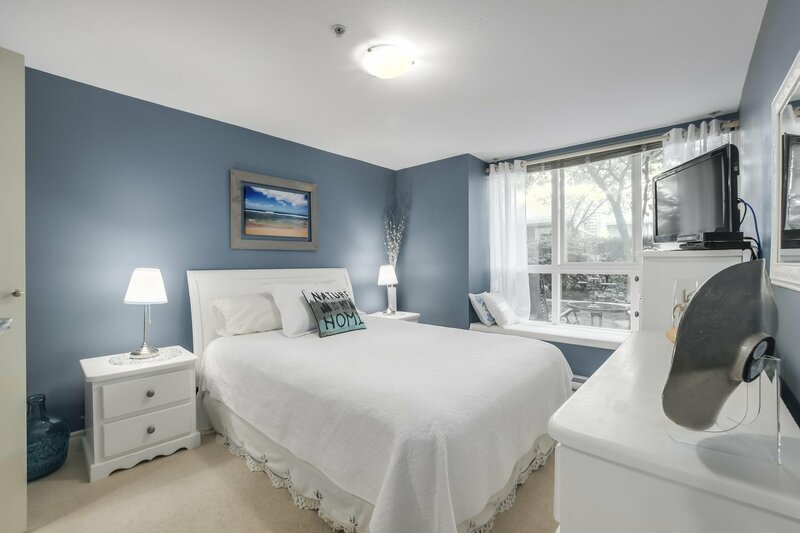 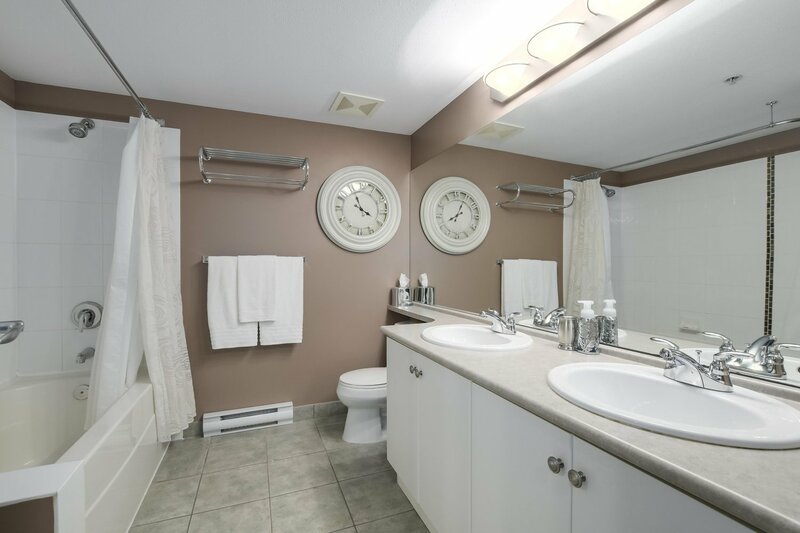 Master bedrm will accommodate a full bedroom suite & has a lg walk in closet & semi-ensuite. 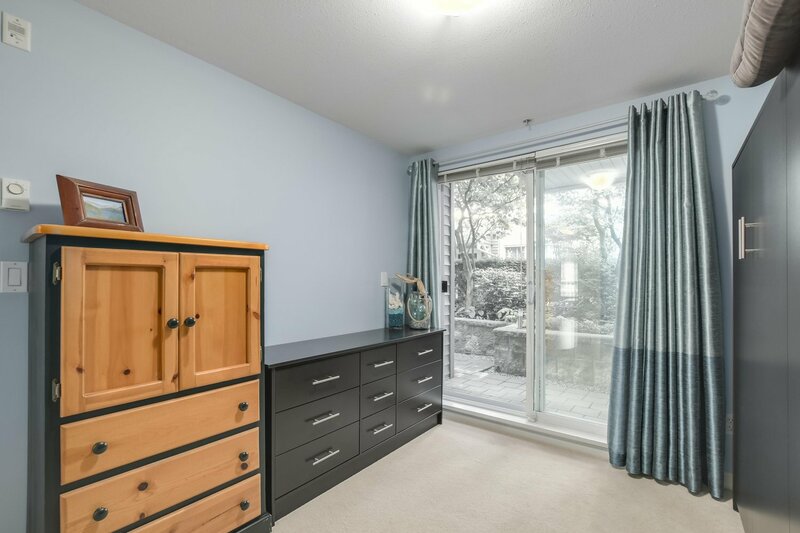 2nd bedroom bonus: a Wall bed for guests while leaving the space open for other use as well as access to a 2nd patio via the sliding glass doors. 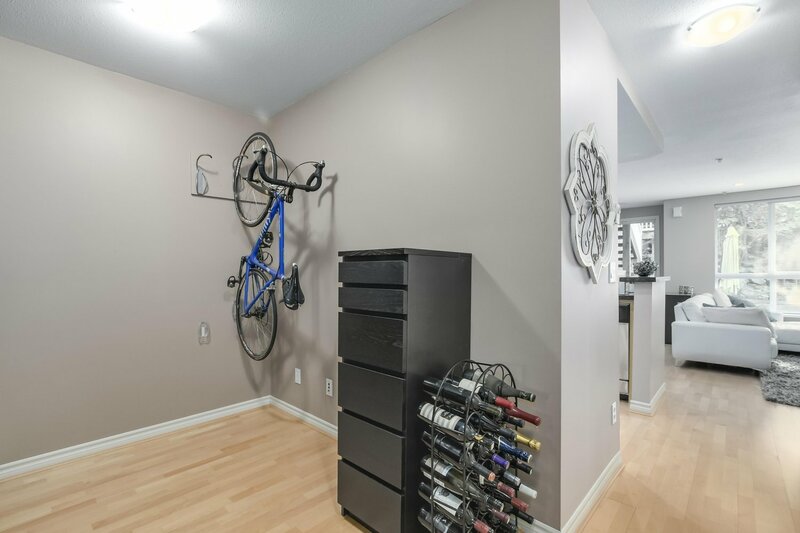 Locker + 1 parking space. 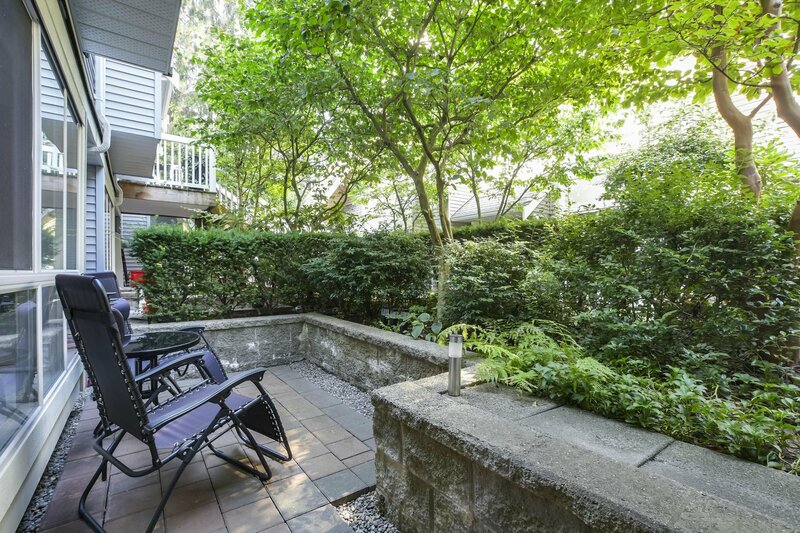 Pet ok. Close to trails, shops, etc.